Tuesday afternoon in Dublin, taking a moment out from the opening day of EuroSTAR 2014. 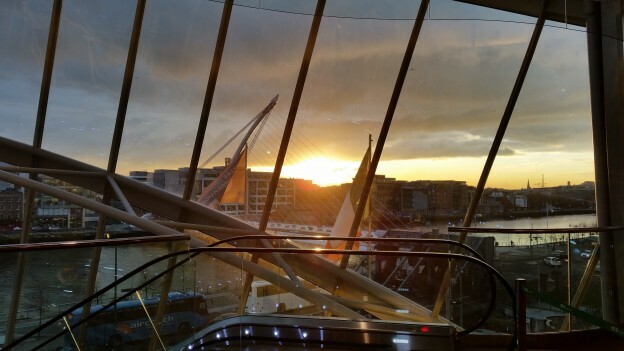 Looking out from the 3rd floor of the new Convention Centre with a view of the sun setting over the Dublin silhouetting the Samuel Beckett Bridge. This entry was posted in Blog, Featured Images, Photos and tagged sunset on 23rd December 2014 by admin.